Ben Charlton is one of the partners of Kalinga Park Veterinary Surgery and has been the principal Veterinarian at Kalinga Park since the surgery opened in 2008. 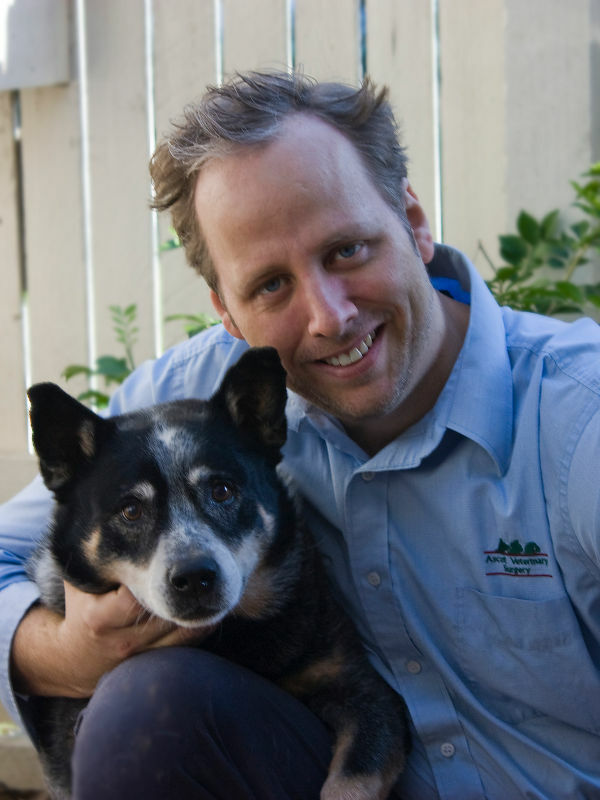 Graduating from the University of Queensland with a Bachelor of Veterinary Science in 1998, Ben initially began working in a mixed animal practice at Laidley, before moving to a large small animal hospital on the Southside of Brisbane for several years. Six months in the UK saw the cold get the better of him before he returned to Australia to take up a position at the Ascot Veterinary Surgery. In 2005, Ben completed his membership to the Australian College of Veterinary Surgeons focusing on internal medicine in dogs and cats. Following this, he completed the Accreditation Program for Australian Veterinarians and then the Australian Quarantine small animal export and accreditation program. Ben is a former President of the Brisbane Veterinary Practitioners Group and has been a Chartered Member of the Australian Veterinary Association. Ben’s focus is on maintaining quality animal care and medical practice at Kalinga Park Veterinary Surgery and regularly attends continuing education seminars to ensure his patients receive the most up to date care.